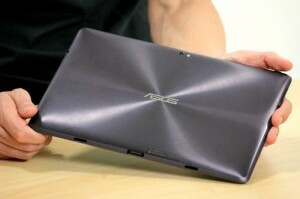 There’s a reason that the ASUS Eee Pod Transformer TF101 is the most talked about Android tablet. This is due to the fact that this Android tablet featured premium hardware, is developer-friendly and receives support from the manufacturer, even now. Many of you might’ve heard by now that the Transformer TF101 just received Ice Cream Sandwich a few days ago and it has already been rooted. Below you can find an easy to read step-by-step guide if you are on Windows! The rooting method has been retrieved directly from the XDA-Developers, which is a popular meeting place for Android hackers, enthusiasts and developers. It was in a thread which was posted by the developer by the name rhcp0112345 where he discusses his root for the famous Transformer TF101 on the ICS by using OS X/Linux. Another developer, chan32167 posted an adaptation of the root by rhcp0112345’s root for Windows, on the same thread. Below you can read the step-by-step guide which has been prepared. Before you start with this guide, you need to know that this is for rooting the original Transformer TF101 using Windows. Another method needs to be followed for Linux and Mac. This method can be found by visiting the official thread. viagra online from usa The link has been given at the end of the guide. Step 1: The first thing you need to do is download and install the latest drivers for the ASUS Transformer TF101 you’re using. You can do this by visiting this link. Step 2: Pick your Transformer up and go to ‘Settings’ then ‘Applications’ and ‘Development’. Then enable the ‘USB debugging’. Step 3: Using a USB cable, connect the TF101 to the Windows PC. Step 4: Visit the official thread and download tf101 ics root.zip and after the download, unzip it using suitable software and launch run.bat. Step 5: After your device has been detected, simply follow the on-screen instructions. You can confirm if you’ve followed the steps properly by searching for a Superuser app in the app drawer. For further questions, you can visit the XDA-Developers official thread here. Disclaimer: LinkedupLife will not be responsible for any damage or loss. Follow this guide at your own risk!